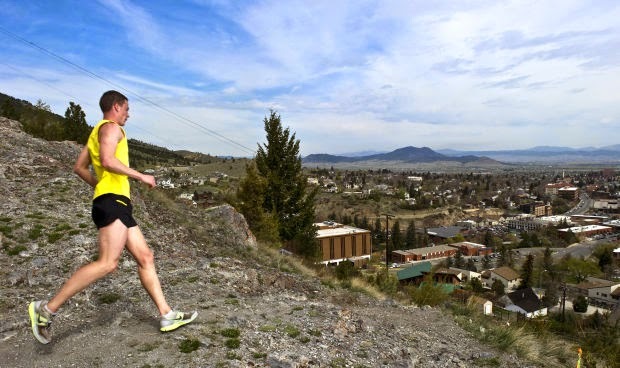 Black Eagle's Jim Walmsley burst onto the Montana running scene with his course record-setting performance at the 2013 Missoula Half Marathon. This year, the Air Force officer is everywhere. From his course record at the Old Gabe 50K to a 4:21 road mile, Walmsley has impressive range. 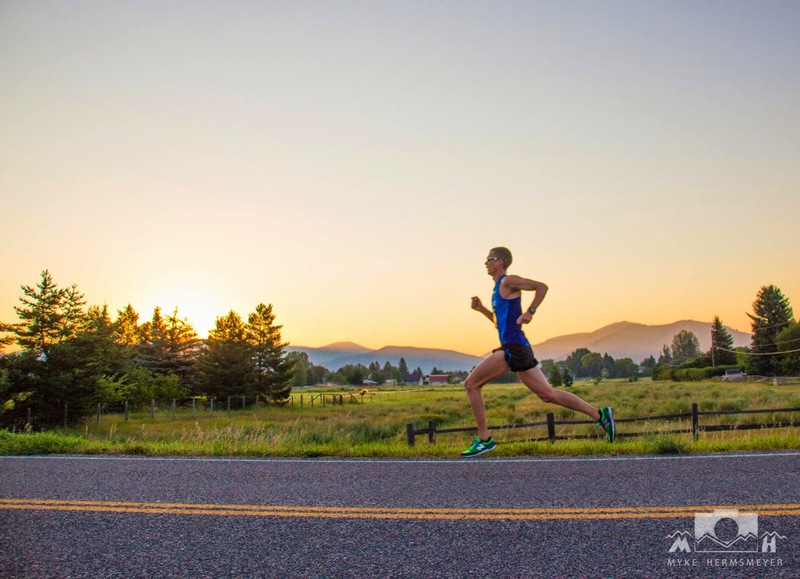 His 2014 wins at Montana races include Snow Joke Half Marathon, Ice Breaker 3 mile and 5 mile, Don't Fence Me In 30K, Governor's Cup Half Marathon and 5K, and Old Gabe 50K. Just two days ago he placed 2nd at the Missoula Half in 1:09. But this Saturday it's back to the mountains where he'll join a deep field of Montana men (Jeremy Wolf, Mike Wolfe, Mike Foote, Justin Yates, Kiefer Hahn, and Damian Stoy) at the Speedgoat 50K in Utah to test their mettle against some of the sport's best on one of the toughest courses around. 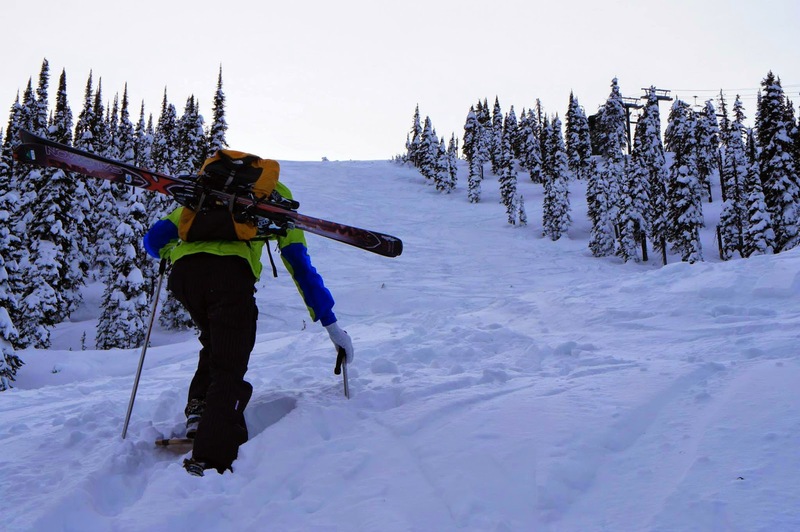 In the following post, Walmsley took the time to answer some questions we sent his way. As a bonus, MTC readers will find out the answer to a common question Walmsley faces: Where the heck is Black Eagle, Montana? Thanks for taking part in Ten+ Questions with MTC. We always begin where it all began: How did you get into running? Growing up I played on a competitive soccer team that traveled around the US playing in tournaments. Our coach was very big on fitness and ran us into the ground regularly at the end of practices from a very young age (not something I endorse). However, that is where I found I excelled significantly compared to my teammates. My freshman year of High School, a soccer friend of mine that was one year ahead of me, talked me into going out for the Cross Country Team. In Arizona we have Cross Country in the fall and Outdoor Track in the spring. I never competed in Indoor Track until college. I remember my first run was well over 100 degrees outside and I did a 5 mile run with the varsity team. I am pretty sure the soreness from that run didn't go away for the entire next month as my body got used to running longer distances. I eventually decided to quit soccer and focus on running during my sophomore year of high school and I've been running consistently ever since. NCAA Nationals Steeplechase. Walmsley clocked a 8:41 at that meet-an Olympic Trials qualifying mark. From what we can tell, you had an exceptional collegiate career. What are your running career highlights to this point? 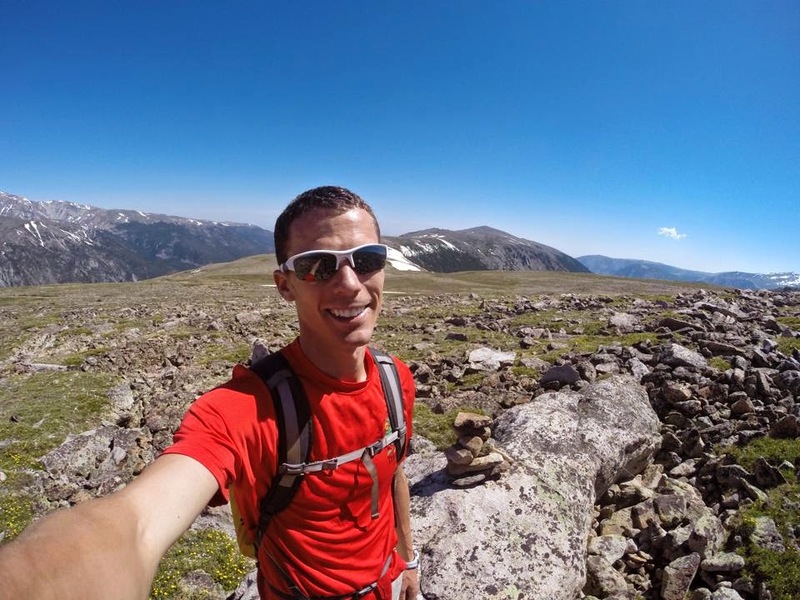 I had a unique collegiate running experience because I had the difficulty of balancing everything that the Air Force Academy throws on your plate in addition to trying to run competitively at a Division 1 school (all without the option to be able to redshirt at all – everyone graduates in four years). In my opinion, my personal highlights are the friends I made that I ran with in college. If it wasn't for us looking out for each other and pushing each other every day, I never would have been successful running or graduating from USAFA. 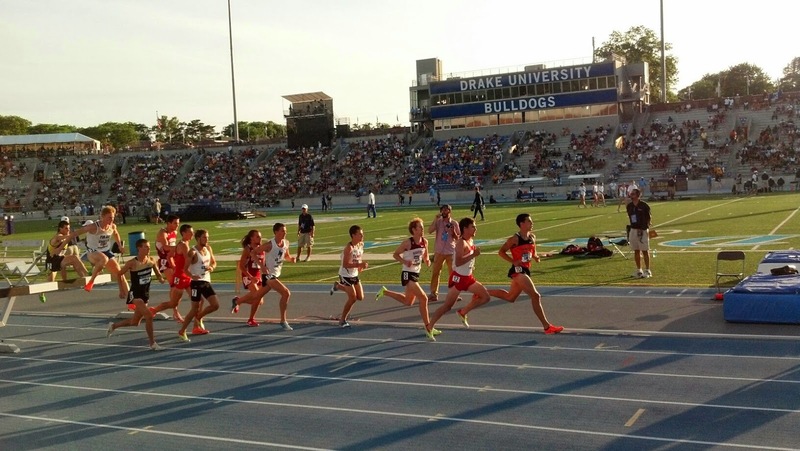 As far as running goes, I gradually had improving times throughout my college career. I would say my freshman year was a significant struggle going through “Doolie” year. Sophomore year led to a bit of a breakthrough highlighted by an 8:03 3k indoors and 13:56 5k outdoors. Junior year was a bit of an injury year but I still managed to crack 14:00 once or twice for 5k. Senior year I finally feel like I adjusted to the 7,200 ft altitude of the Academy and was able to hit new levels of fitness. I kind of shot-gunned my races senior year, not really focusing on any one event so I didn't get super huge pr’s, but consistently raced very well and hit many new pr’s. I ran 4:04 for a full mile indoors and anchored a distance medley relay in a 4:01 to highlight indoor season. Outdoors, I ended up running a 13:52 5k with the last 1000m closing in a 2:34, which was really amazing in retrospect. I ran my first and only 10k on the track in 29:08. I also decided to try out the steeplechase for the first time senior year and it ended pretty well. I placed 12th at NCAA nationals with a final pr of 8:41 which was fast enough to hit the time standard to qualify for the Olympic Trials that year but unfortunately, I still wasn't in the top 24 in the country with that time. I ended up winning four Mountain West Conference meet titles that year in the 3k/5k indoors and the 3k steeple/5k outdoors. It was a fun, adventurous way for finish my collegiate career. Can you tell me a bit about your progression from a track and cross country runner to post-collegiate road racer and now trail racer? Running longer and moving to road/trail seems to be the natural progression of many competitive runners through their careers, so I always knew it would probably happen sooner or later. Getting stationed at Malmstrom AFB in Great Falls has made me train a lot more by myself and track workouts have become very hard to come by. I find I am not even close to as sharp as I was just two years ago, so the longer road races and trail races have suited my training situation in Black Eagle. I've always loved road racing because that’s basically what cross country in Arizona was, but I've discovered I love trail running since I've been in Montana. I love getting outside to hike, camp, run the back trails, mountaineer, and rock climb. I honestly didn't choose to be stationed in Montana, but I have fallen in love with the state in the short time I've been here. I've leaned more towards trail races lately because I've realized you get to combine tons of things I love doing in Montana with what I’m good at, running. You live in Black Eagle, a place most people have probably never heard of, but it's more or less Great Falls. Where do you train, do you have people to train with, and have you found some nice trails in that area? There are a couple runners here, but not too many. I have a good friend, Jake Bradosky [2:21 marathoner], that is in my squadron at Malmstrom and he is a very good runner in his own right. Unfortunately, our job schedules often don’t line up to get the chance to run together. Being in Black Eagle, I have great access to the River’s Edge Trail that runs along both the north and south shores of the Missouri river and even gets frequently snow plowed in the winter. The trail crews out in Great Falls do a great job maintaining that paved trail. Some of the routes that go east will be some windy single track trails that are fun to run, but it’s mostly mountain bikers on those parts of the trails. Other than those trails, sometimes I like finding good loops on dirt roads that aren’t far from town. My favorite runs come from a Falcon Guide hiking book of Montana that I try to get out and do a couple times each month when the weather is nice enough. Being in the Air Force, what's your schedule like? Do you find that it balances well with your training and racing schedule? Lately, my schedule in the Air Force has been Mon-Fri for the most part, so it’s aligned nicely with being able to train and race. It can make for long days when I run after work but I enjoy being fit and going out for runs. Besides racing, since moving to Montana last year have you had a chance to explore much of the state? If so, what are some of your favorite places in Montana? Are there any mountains or trails that stand out? I love the Flathead region of Montana. I feel it’s the most rugged and has the thickest forests out of most places I've been to so far. Obviously Glacier NP is amazing and Yellowstone is cool. My favorite hike has been the bush-whacking trail to the top of the Great Northern Peak that overlooks Hungry Horse Dam to one direction and Glacier to the other direction. I tried hiking to the top of Granite Peak from East Rosebud a couple weeks ago and only made it to Frozen-to-Death Peak so that was fun but left a sour taste not reaching the peak before deciding to head back down (it was a one day trek). Lastly, I've really enjoyed rock climbing at Black Leaf Canyon in the Bob. 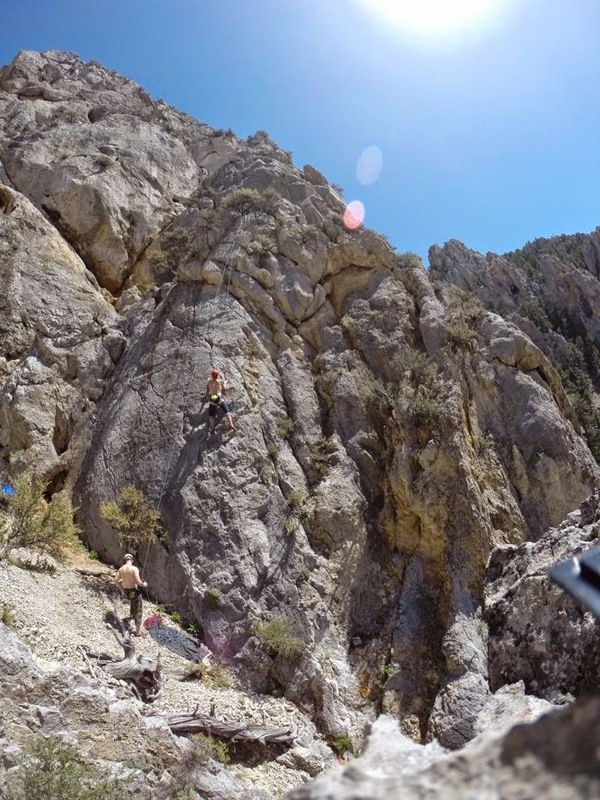 It’s about a 600 foot limestone wall that’s pretty awesome to climb on. You've been very successful running trails this year. Your win at Don't Fence Me In (DFMI) came against a solid field that included past and present U.S. Mountain Running Team Members. It's the second fastest performance ever on the current course, behind only Rob Krar's 2012 time. Your win at Old Gabe 50K might be more impressive in establishing a new benchmark for a very tough mountain course. Do you see yourself making trail and mountain running your primary focus, or do you expect to continue to run all disciplines? Those results have at least sparked the thought of possibly making trail running my focus. I do pretty well on the trails and on the up hills specifically, but it does beat my body up more than I’m used to. Next year I will probably try to go more for time in the DFMI 30k rather than being more concerned about not reaching too much. I wasn't aware of the CR last year but now that I can keep that in mind, it would be something fun to shoot for. Old Gabe was a great experience with a small race field that was really well put on. I knew I wanted to run the first half as conservatively as possible and feel out the race. I ran it mostly to get experience for the Speedgoat 50K but it might have done more harm than good in retrospect as that course was pretty tough and has created some tweaks/little injuries that I've have to nurse since. I am thinking I’m going to take some down time after Speedgoat because I’d love to put forward my best foot for the Rut 50K later this year against some of the best ultra-runners in the sport. You've got Speedgoat 50K this weekend, which is billed as the toughest 50K in the country. It also features a very deep field of elite mountain runners. How do you feel going in? For races like this do you typically like to work off the lead pack or run your own race? Do you have a plan for this one? I definitely will be running completely based off of the front pack and leaders, at least for the first half. I am very new to 50Ks and even mountain racing where these guys have a way better idea of what should be a good pace. Some of these guys make a living off of these races so they would definitely know better than me. I've had to take a lot of days off leading up to the Missoula Half Marathon last weekend because of an injury in my foot and my hip flexor has bothered me since Old Gabe on uphill runs, but I’d really like to give the top guys a run for their money and I’d love to place very high. I am hoping to take the experience from this race and be more prepared and fit to protect the Montana turf come the Rut 50K. After Speedgoat, what else do you have on the 2014 calendar and what are some of your goals for the coming year? Goal number one is to get healthier and get fit. It’s been a real challenge for me to try to train by myself since college and I need to get better at it. Off days seems to be contagious and seem to lead to more off days. I’d like to run Angel’s Staircase 60K in August but might have to pull out based off of what happens in Speedgoat this weekend and might take off racing next month to focus more on getting healthy and getting my fitness back up to race shape. I hope to do the Rut 50K, the AF Half Marathon in Dayton, OH, maybe the Marine Corps Marathon in Wash., D.C. as that’s a military championship race, the Arizona Endurance run in Flagstaff, AZ, and then I’m always looking for shorter, local races to hop in to fill in free weekends between those races. I have enjoyed using local racing as replacements for workouts. I try to follow the Runner’s Edge website to catch their races, RWM, 406 running, and the Bozeman races. Lots to choose from as long as I am willing to drive.